Finding an attractive lampshade is often difficult ~~ but no more. 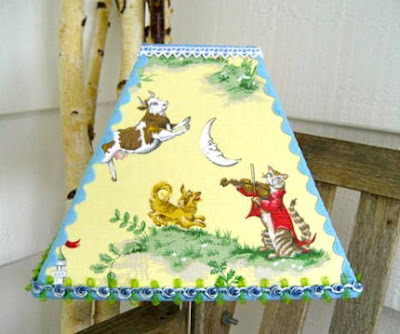 Sassyshades uses an eclectic mix of textiles and trims to make each lampshade unique, individual and one of a kind. Using vintage, recycled or combinations of old and new material Sassyshades has a whole selection of both whimsical and classical designs that are beautifully hand made. Check out the shop here. Thank you so much for featuring my lampshade! That is so cute! I love their lampshades!